Myth #1: Meditation is hard. Truth: This myth is rooted in the image of meditation as a practice reserved only for saints, holy men, and yogis. Though it’s best to learn from an experienced, knowledgeable teacher, the techniques can be as simple as focusing on your breathing or silently repeating a mantra. One reason why meditation may seem difficult is that we try too hard to concentrate, we’re overly attached to results, or we’re not sure we are doing it right. Myth #2: You need to quiet your mind completely to meditate successfully. Truth: This may be the No. 1 myth about meditation and is the cause of many people giving up in frustration. Meditation isn’t about stopping our thoughts or trying to empty our mind—both of these approaches only create stress and more noisy internal chatter. We can’t stop or control our thoughts, but we can decide how much attention to give them. Through meditation we can find the quiet that already exists in the space between our thoughts. Sometimes referred to as “the gap,” this space between thoughts is pure consciousness, pure silence, and pure peace. As you meditate on a regular basis, you will spend more and more time in this state of expanded awareness and silence. Be assured that even if it feels like you have been thinking throughout your entire meditation, you are still receiving the benefits of your practice. When my friend and colleague David Simon taught meditation, he would often tell students, “The thought ‘I’m having thoughts’ may be the most important thought you have ever thought, because before you had that thought, you may not have even known you were having thoughts. You probably thought you were your thoughts.” Simply noticing that you are having thoughts is a breakthrough, because it begins to shift your internal reference point from ego mind to witnessing awareness. As you become less identified with your thoughts and stories, you experience greater peace and open to new possibilities. Myth #3: It takes years of practice to receive any benefits from meditation. Truth: The benefits of meditation are both immediate and long-term. Many scientific studies provide evidence that meditation has profound effects on the mind-body physiology within just weeks of practice. For example, a study led by Harvard University and Massachusetts General Hospital found that as little as eight weeks of meditation not only helped people experience decreased anxiety and greater feelings of calm; it also produced growth in the areas of the brain associated with memory, empathy, sense of self, and stress regulation. At the Chopra Center, we commonly hear from new meditators who are able to sleep soundly for the first time in years after just a few days of daily meditation practice. Other common benefits of meditation include improved concentration, decreased blood pressure, reduced stress and anxiety, and enhanced immune function. Learn more about the benefits of meditation on the Chopra Center blog. Myth #4: I don’t have enough time to meditate. Truth: There are busy, productive executives who have not missed a meditation in twenty-five years, and if you make meditation a priority, you will do it. If you feel like your schedule is too full, remember that even just a few minutes of meditation is better than none. We encourage you not to talk yourself out of meditating just because it’s a bit late or you feel too sleepy. In meditation, we are in a state of restful alertness that is extremely refreshing for the body and mind. As people stick with their meditation ritual, they notice that they are able to accomplish more while doing less. Instead of struggling so hard to achieve goals, they spend more and more time “in the flow” – aligned with universal intelligence that orchestrates everything. 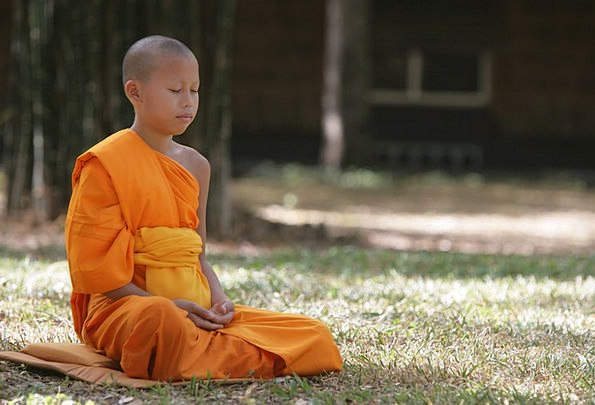 Myth #5: Meditation requires spiritual or religious beliefs. Truth: Meditation doesn’t require a specific spiritual belief, and many people of many different religions practice meditation without any conflict with their current religious beliefs. Some meditators have no particular religious beliefs or are atheist or agnostic. They meditate in order to experience inner quiet and the numerous physical and mental health benefits of the practice. The original reason that I started meditating was to help myself stop smoking. Meditation enables us to enjoy whatever we do in our lives more fully and happily—whether that is playing sports, taking care of our children, or advancing in our career. Myth #6: I’m supposed to have transcendent experiences in meditation. Truth: Some people are disappointed when they don’t experience visions, see colors, levitate, hear a choir of angels, or glimpse enlightenment when they meditate. Although we can have a variety of wonderful experiences when we meditate, including feelings of bliss and oneness, these aren’t the purpose of the practice. The real benefits of meditation are what happens in the other hours of the day when we’re going about our daily lives. When we emerge from our meditation session, we carry some of the stillness and silence of our practice with us, allowing us to be more creative, compassionate, centered, and loving to ourselves and everyone we encounter.